An ideal place for a caravan holiday Forest Glade is set in a forest clearing. A great place for family holidays or a quiet break in Spring or Autumn. Pets are welcome. Holiday caravans and touring pitches are set in level grassland. Comfortable holiday caravan with good size lounge diner. 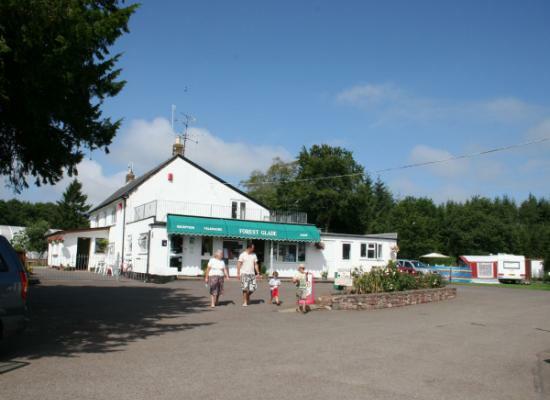 A family-run camping and caravan park on the Blackdown Hills, an AONB. Surrounded by forest the park has 25 holiday caravans and 80 touring pitches for tents, touring caravans and motorhomes. Open mid March to end of October. Forest Glade Holiday Park is situated in a forest clearing with well looked after grassland in an area of outstanding natural beauty. Its a 16-acre site that also has touring pitches for tourers and motorhomes plus camping facilities in an adjacent field. A great base for exploring the local area which offers amongst other things Horse Riding (2 miles away) and Golf (6 miles away). A short car joruney will take you to the nearest beach in Sidmouth about 17 miles away. With the forest so close there are a variety of walks through the forest and along the hillside that offer superb views.